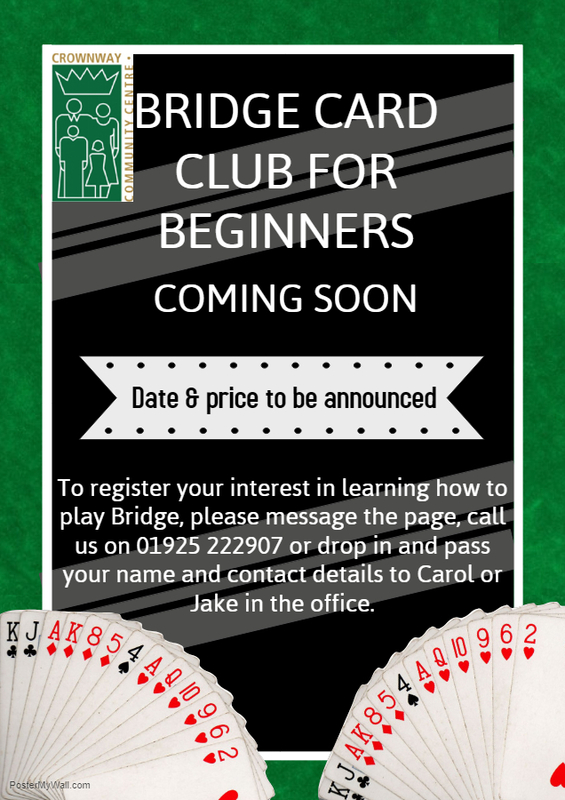 We are looking at the possibility of starting up a club for teaching people how to play Bridge. All that we need to know is how many people would be interested in joining and learning how to play. Please feel free to get in contact with us using any of the means listed within the poster above.